If you’re over-digging or under-digging, you’re wasting valuable time. 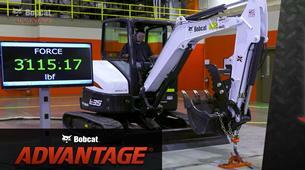 That’s why Bobcat® developed the industry’s first depth check system for compact equipment. With the depth check system, you can dial in your desired depth and dig until you reach it. 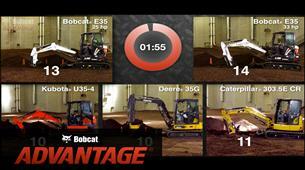 You won’t find this feature on Caterpillar®, John Deere®, or Kubota® compact (mini) excavators. 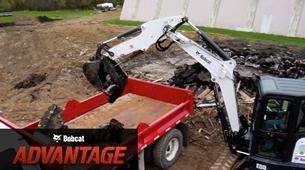 It’s just another way Bobcat makes your job easier and quicker. See how it works. 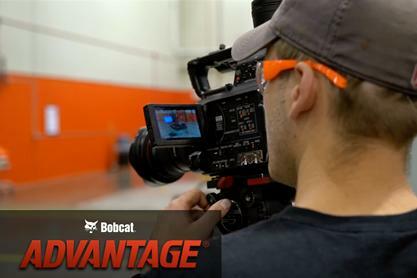 With the Bobcat depth check system, you’ll get your depth right every time, eliminating the rework required when you overdig or underdig. Easily check your trench depth from your cab, and virtually eliminate the need to leave the cab and manually measure your trench. 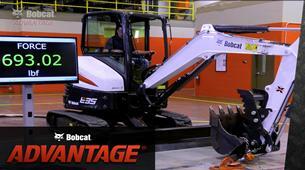 Plus, unlike other depth check systems, it seamlessly integrates with Bobcat Deluxe Instrumentation. Using the depth check system, you can dial in your desired depth. A simple interface integrated into the Deluxe Instrumentation display will alert you with visual and audible notifications when you reach the correct depth. 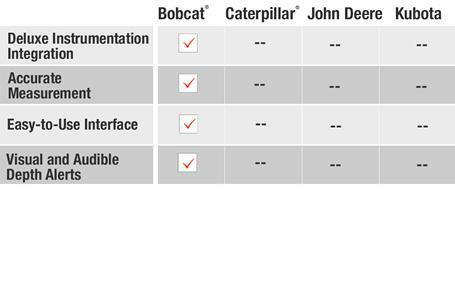 When comparing Caterpillar®, John Deere®, or Kubota® compact excavators, you won’t find anything like it. 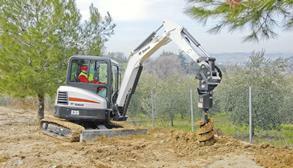 Bobcat is the industry’s only brand to offer a depth check system for compact (mini) excavators. 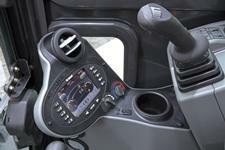 Achieve an accurate grade every time without leaving your cab by using the Bobcat depth check system. 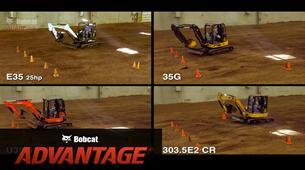 Efficient and easy to use, the system delivers accurate dig depth measurement for precision grading performance. It prevents overdigging and the costs associated with backfilling and compacting fill material. It also prevents underdigging and the resulting need for manual labor to finalize depth or grade. 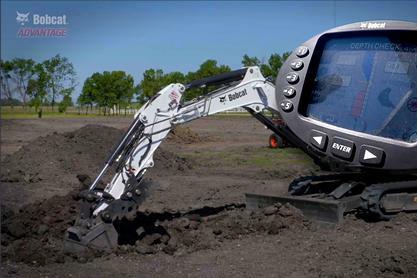 Evaluate your machine performance, assess your costs and protect your investment with the handy instrumentation options on Bobcat compact excavators. The standard panel gives you essential data, while the optional deluxe instrumentation panel offers advanced capabilities. 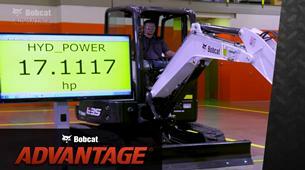 How Much Can Your Excavator Lift? Who Can Leave Others in its Dust? Who has the Strongest Slew Force? 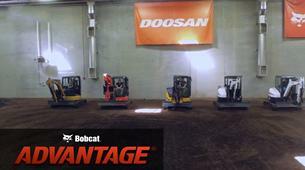 Which Excavator Can Reach the Farthest? What Brand Can Dig the Most in a Day? 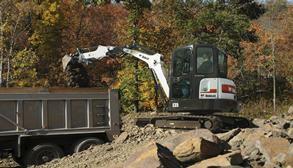 Find out what exclusive features make up the industry’s largest lineup of excavators. 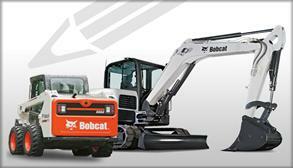 Find all the information you need about Bobcat compact (mini) excavators before making a purchase decision.